I am using a core that can not be used with other mechanical pencils. Convenient. This review is about item#19879704. This review is about item#19879729. I bought a 130 mm sharp pen. Because it is a short pen, I think it's for small hands. I think that it is difficult for you to have your pen currently 145 mm ~. The writing comfort is good. Creative? Compared with other makers running on making sharp pens, I believe that "platinum pen pencils" are pursuing ease of use from long ago. It is a favorite from over 20 years ago. (I used the drawing before.) Recently, the number of goods has also decreased, the number of handling shops has also decreased, and Monotaro only handles the cheapest pencil pen. 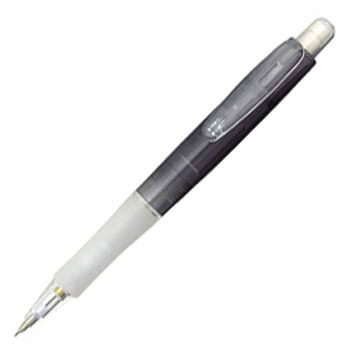 As expected, this price, I can not hope for durability, I think that it is easy to use mechanical pens. I am thankful that you can also handle the "Olene" series. This review is about item#38621755. The price was so worthy that I ordered, but my hands were very tired when I used it thicker and longer than I expected. I expect a slightly narrower pen. This review is about item#38621737.